It’s been a couple of months since my last update, but this week’s release of Logan feels like the perfect opportunity to begin blogging for 2017. Not only is it the first superhero blockbuster of the year, but it concludes Hugh Jackman’s run as Wolverine, one of the most enduring superhero characters of the last twenty years. And for all that this film feels like a conclusion – a last mission for its weary stars – it also offers a glimmer of hope for future films in the genre. Because Logan is an example of how to do superheroes properly, how to transcend above the current malaise of superhero films and deliver something enduring. The film is set in a dystopian 2029, where mutants are on the edge of extinction. An ailing Logan ekes out a quiet existence on the Mexico/US border, where he is caring for Professor Charles Xavier, who is suffering from a degenerative brain disease that renders him a danger to society. When they encounter a young mutant, Laura, they are forced to help her escape from her captors and head north, towards a supposed mutant sanctuary. From the hyper-violent opening scene, we’re constantly reminded that this isn’t the X-Men we’ve seen in the Bryan Singer films. Director James Mangold goes to great lengths to differentiate his film from the rest of the franchise, and it’s these points of difference that make the film shine. Logan rejects the recent trend towards ensemble casts in favour of a gritty, character-driven drama. It doesn’t rely on spectacle to wow its audience. Its action sequences fit into the narrative without feeling unnecessary or gratuitous. And its grim depiction of 2029 ironically feels like a better apocalypse than the one offered in last year’s X-Men: Apocalypse. I hope Bryan Singer is taking notes. Logan sees Hugh Jackman as an older, wearier Wolverine. 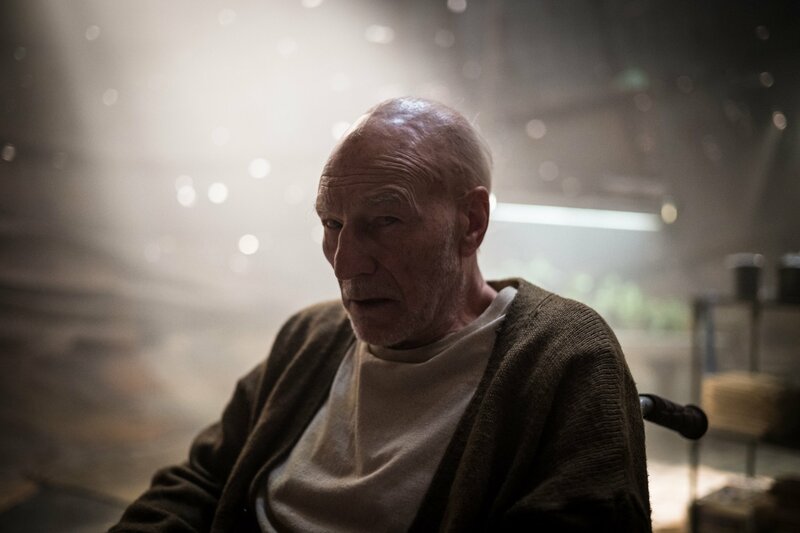 Logan marks the end of an era for the X-Men franchise, being the final outing for Hugh Jackman as Wolverine and (possibly) Patrick Stewart as Professor Charles Xavier. Paring the film down to these two familiar characters gives Jackman and Stewart the screentime needed to really revel in their downfall. Jackman’s Logan is a shaking, broken shadow of his former self. The adamantium in his bones is slowly poisoning him, impeding his ability to heal. Xavier is no longer the proud headmaster of his school for mutants, but a confused old man whose frequent, debilitating seizures have made him a liability. Stewart infuses the role with a sense of hidden dignity, so that even when he is scrabbling for his medication or raving incoherently, we understand that there is a nobility trapped just beneath the surface. But it’s Dafne Keen as Laura who really steals the show. She is ferocious and wild, easily matching Wolverine’s intensity in the action sequences. Her journey provides the emotional core of the film, giving Logan the chance to discover a new side to his personality as he takes on the role of mentor/father. Keen is one of those rare child stars who understands that a single look can communicate more than a dozen sentences. And Logan is full of significant looks, from all cast members – from the disappointment in Xavier’s eyes during his lucid moments, to Laura’s distrust towards Logan. And then there’s the look of weariness that Logan carries throughout the film, the look of a life that has continued for too many years. Patrick Stewart gives an incredible performance as an elderly Charles Xavier, whose powers have become a liability. Last year, I wrote an article suggesting that Deadpool heralded a New Wave of superhero films, as well as a subsequent article which even envisioned what a New Wave could look like. As I acknowledged at the time, it was too late for the majority of 2016’s superhero blockbusters to change direction – most of them were already in post-production, and thus succeeded in perpetuating the familiar narrative structures and tired formulas that had burdened the genre with a sense of fatigue. But I had hope for 2017’s roster of films, and Logan demonstrates that the studios are learning their lessons. Yes, it may be the tenth instalment of the X-Men film franchise and is thus firmly entrenched in the cycle of endless sequels, but it also transcends the genre, a significant departure in style and tone from any of its predecessors. Logan feels like the first film that has capitalised on Deadpool‘s promised revitalisation of the genre. Despite borrowing narrative elements from Mark Millar’s Old Man Logan, its cinematography and realistic depiction of violence feels utterly divorced from its comic book origins. 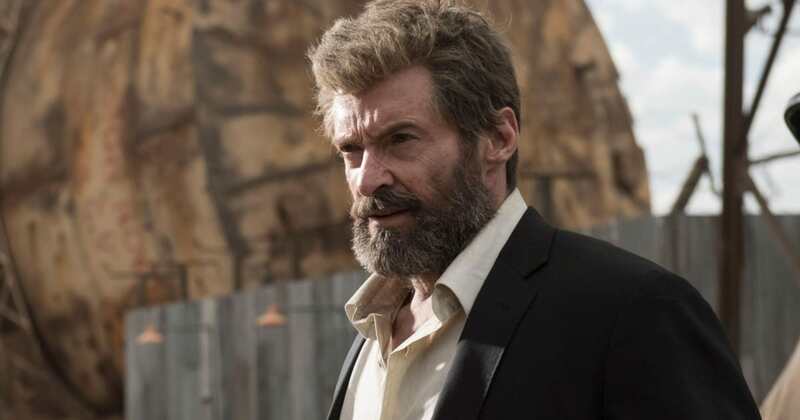 Mangold treats Logan as a character whose origins lie in films, rather than a character who has been translated from comics. (The film somewhat cheekily suggests this idea by having Logan rage against Laura’s collection of X-Men comics, insisting that they are not “real life.”) Where the traditional superhero format sees the protagonist gaining powers, elevating them above mere mortals, Logan succeeds because it is about a protagonist losing his powers, becoming mortal. Audiences can sympathise with Logan because of his mortality. Movie studios are beginning to recognise that superhero films function best when they draw on other genres. Logan is perhaps better described as a Western than a superhero film; not only does Mangold draw extensively from the imagery and backdrops of the Old West, but the themes and story are straight out of classic Westerns (the references to Shane (1953) are so numerous that they actually help to drive the plot). 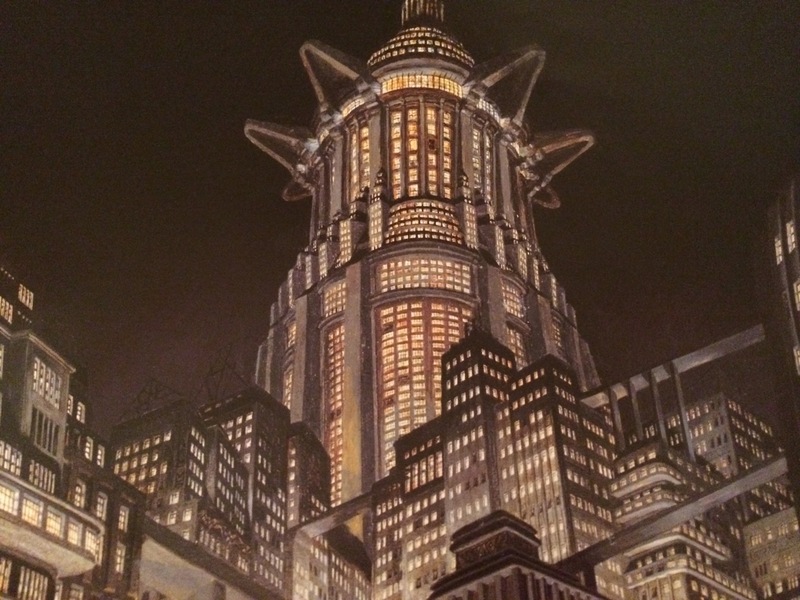 He has infused this imagery with a sense of dystopian decay. Gone are the sleek jets and shiny costumes of the early X-Men films; the future of 2029 is a rusting monument to a broken society. Mangold has also cut back on the familiar iconography from the X-Men franchise. 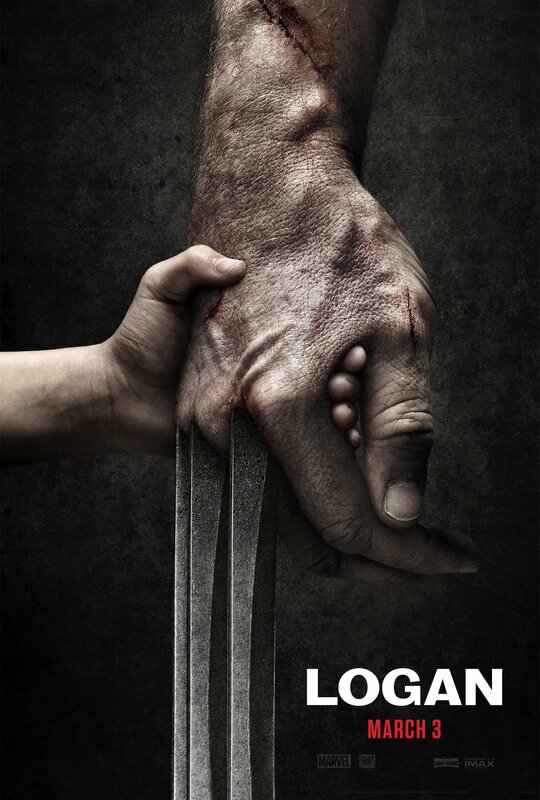 The only recurring icon that features throughout Logan is (of course) Wolverine’s adamantium claws. And even these are battered and malfunctioning, a visible part of the poison that lurks inside Logan’s body. The setting for Logan mixes Westerns with dystopian decay. Logan exceeded my expectations in every way, especially because the previous solo Wolverine films have been somewhat disappointing. It’s hard to reconcile Mangold’s nuanced understanding of the character in Logan with his depiction of the same character in 2013’s The Wolverine. And although both films involve Wolverine’s powers being impaired in some way, the handling of the theme in Logan feels more permanent and tragic. Finally, Wolverine has been given a film that not only reflects his temperament, but does justice to his impact on the genre. If someone had told me a few years ago that 20th Century Fox would be leading the charge to revitalise the superhero genre, I would’ve been incredulous. This is the same studio that made 2015’s Fantastic Four. The same studio that gave us last year’s forgettable Apocalypse. Yet perhaps they are learning from their mistakes. It feels strangely appropriate that X-Men films should be spearheading the change ahead of their Marvel/DC counterparts, given that it was Bryan Singer’s original X-Men in 2000 that helped precipitate the current craze for superhero films. Wolverine helped start this trend, and now we can hold his final film up as one of the best examples of the genre. Now we just need to see a film which satisfactorily concludes the fraught relationship between Xavier and Magneto. Give it to Mangold!